Also, the original music score for the movie was the songs from The Breakfast Club. But after doing some test viewings they decided to abandon that and just get John Williams to bang out some stuff. Don’t you forget about the Lost Ark. I hope you enjoy the movie and have fond memories of it, because you’re going to heck for this.. I LOVE fedoras! I can’t help that I made up that Harrison Ford is afraid of them. I actually heard the boulder was the world’s largest ball of yarn that was on the loose and they decided to film it and just go with it! And the snakes were actually gummy worms, and the cast and crew ate them all after the shoot and then were on a 6 day sugar high. True facts. Even if completely facetious. Fact: the original Ark of the Covenant was, in fact, the world’s first cooler. Back in the desert, everything tasted better and fresher when it had been stored in the Ark of the Covenant. They made it a sin to open it because the priest got annoyed his ice-cold beers kept getting stolen. And then because the beers had been frozen for so long, when they opened the Ark, all the cans exploded. Makes sense. Particularly love the sandwich box. Also little known fact, in the scene where Indie shoots the dude with the swords, he actually did shoot and kill him. Unfortunately that take didn’t really work, and they had to kill 6 others before they finally nailed it. BUT they were able to reuse the bodies in the scene where all the nazis die, so it worked out for everyone. And that original murder was totally improvised by Harrison Ford! Such a brilliant actor. Oh they totally should have gone with Florida McGee. I love your facts. I think “Best One of Four” is my favorite. Now I’m really curious about those continuity errors! Fascinating! The cobra that hissed in Harrison Ford’s face in the Well of Souls was later given his own television show. Snakes Alive ran for four seasons and was the springboard for a young Matthew Perry. This made me LOL in real life, not just internet. On the set, the actor who plays Toht (Ronald Lacey) would entertain the crew by melting his own face on command. Spielberg liked it so much he wrote it into the Ark-opening scene. We’re hiring him for the next birthday party. Keep in mind that for Raiders, the titular character is pointless to the plot. What’s Indy’s motivation? To stop the Nazis from finding the Ark. What happens? 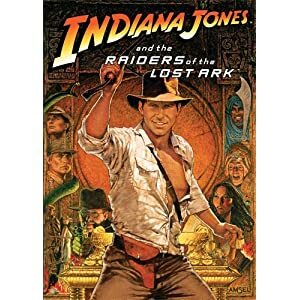 The Nazis get the Ark and die without any intervention from Indy. Still one of my favorite movies because of that, though. You get to follow Indy’s journey without the plot really mattering. That’s an interesting point, he’s pretty much foiled again and again the whole movie. Previous Previous post: I think I’ll just call this post “Pulled Pork.” Why the hell not.